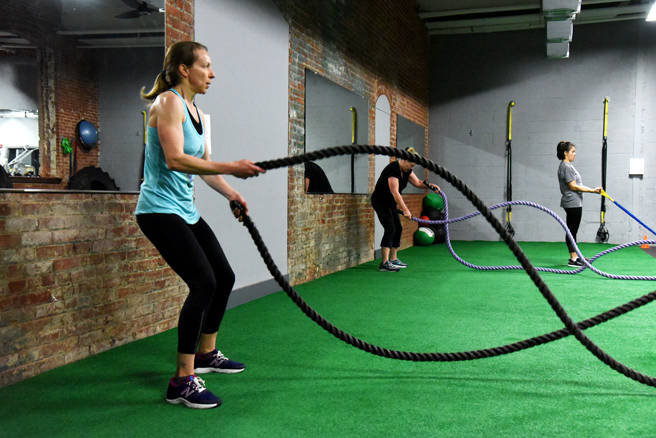 The clients at Matt Stocker's Trinity Fitness have created an atmosphere that allows anyone to re-discover their fitness again. From the elite biking athlete, to the fitness enthusiast who just needs a gym to the 75 year old grandmother who just wants to be able to enjoy a playground with the grand kids. Each program is designed specifically to meet the client where their current fitness level is. Our coaches remain engaged throughout the entire process which includes the consultation, assessment and first workout. The level of caring and comittment goes far beyond the training studio. 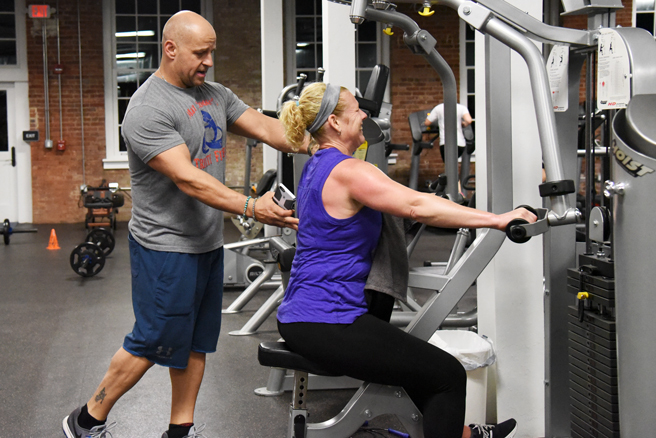 With your own personal coach, we will design a program specifically for your needs. This not only provides accountability, but helps you to consistently reach your goals. We will work together to evaluate your nutrition and help you make the right dietary choices inside and outside the gym. Use the buddy system while saving money. Accountability, healthy competition, and celebrating successes are a few of the perks that come standard at this level. Your personal coach will keep you and your partner on track and focused on your goals. No sneaking off for a water break, the coach sees all! Team classes are designed with high energy in mind. 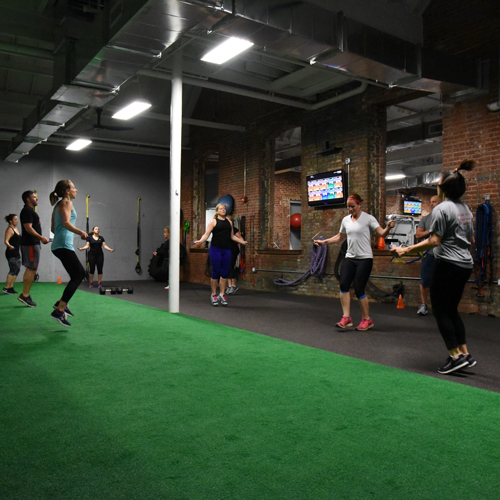 From pumping music to flying high 5’s, you will reach a new level of fitness surrounded by the Trinity Tribe. Look around and notice all the smiles and sweat. People of all ages are having fun and getting fit. 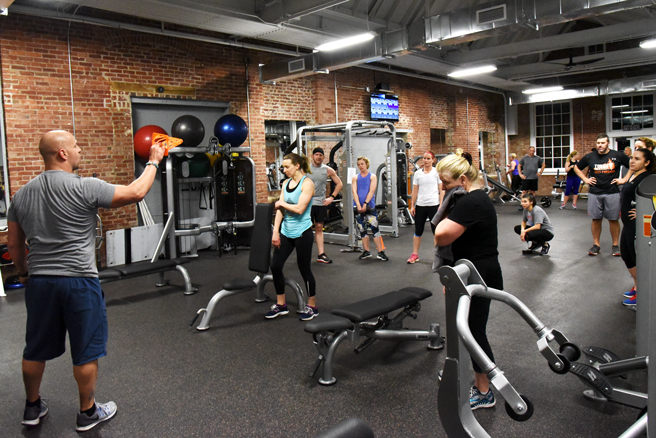 It's our most popular class and we repeat it twice per day.